I can’t seem to get myself away from purple. 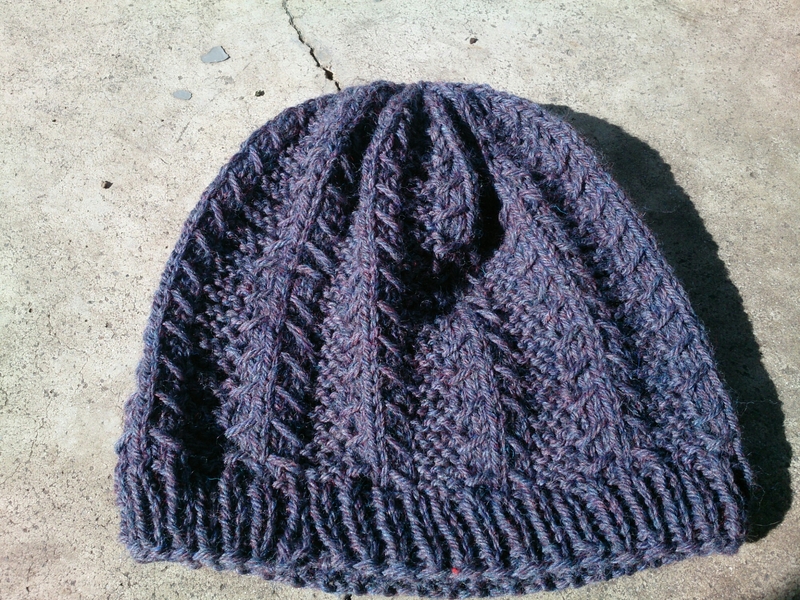 I knit two purple sweaters for myself , two purple sweaters for my sisters, and now a purple hat and a purple top. I’ve always claimed orange as my favorite color, but maybe my tastes are changing? Regardless, there has been a lot of purple on my needles in the last year. 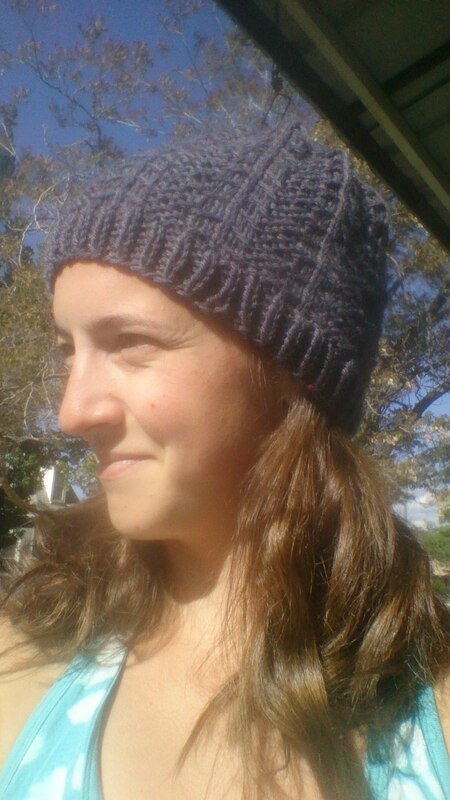 The first item up is a hat I knit that reminds me of two things, which are exciting and a bit nerve wracking. My man friend and I have decided to leave Salt Lake for the time being, go back to Idaho for the summer, and to travel this fall and winter. I love Idaho and am INCREDIBLY excited to get back there. Stanley is a one of a kind place, and it would have been a shame to only spend one summer there. So back we go! That’s the good part. The not so good part is that Stanley is ridiculously cold. Like only has 30 nights a year that don’t freeze kind of cold. The first 3 weeks I will be with Oscar the dog in a tent. Aaron will come save us with a camper later on, but it will still be cold. This is my coming to terms with the frigid nights ahead hat. The pattern is called L’arbre and it is the hat being knit for the Fringe and Friends hatalong. I love it! It fits perfectly, which is incredible because my head is baby sized. 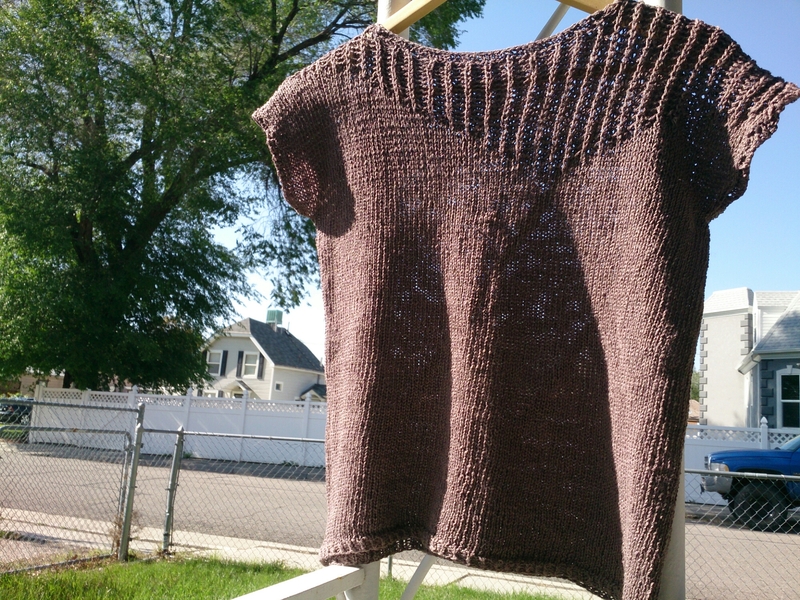 It only took about 3 days to knit, and was a good distraction from other projects I had going on. Purple item number two is the Linum tee. 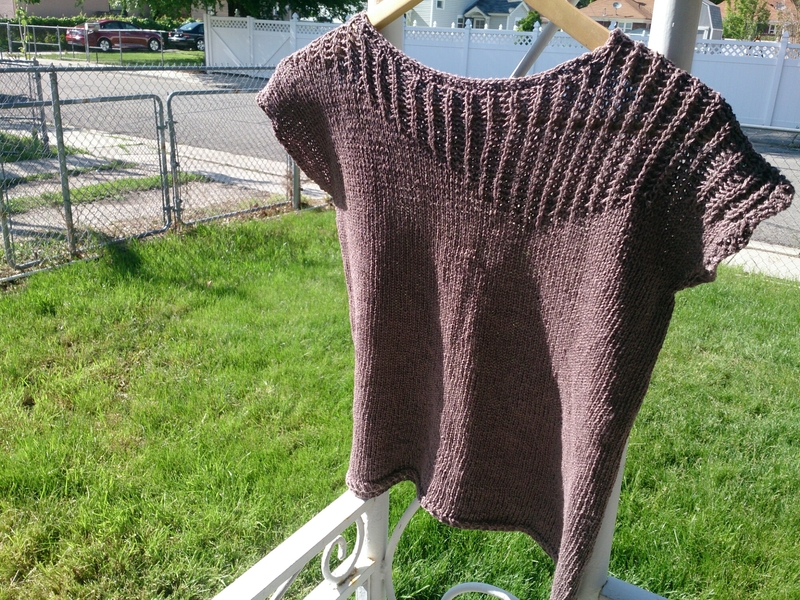 I bought this pattern a year ago and finally knit it up this late winter. My gauge was a little weird but I’m good at nothing if not living in denial, so I forged on with it. It was supposed to be 38 inches around which would leave me with some extra ease but it ended up closer to zero ease on me. The pattern is a little on the short side as well, so I’m thinking I might give it to my miniature sister for her birthday. It fits me, but I look like I might hulk right out of it. Also, I am decidedly too old to wear crop tops now. Sam will look much more dainty and feminine, and she has already given word that she will have no problem taking it off my hands.